Nubank is the leading fintech in Latin America. Using cutting-edge technology, design and data, the company aims to fight complexity and empower people to take control of their finances. We are disrupting an outdated and bureaucratic system by building a simple, safe and 100% digital environment that addresses Brazilian customers’ needs with no paperwork, bank branches or inefficient call centers. Our headquarter is located in São Paulo, Brazil, and we have an engineering office located in Berlin, Germany. With a team of over 1,200 of the most innovative professionals in technology, Nubank is dedicated to create an inclusive, international and challenging work environment. We want to have a product for every Brazilian, and we build strong and diverse teams that rise up to the challenge. We are a team of the most creative people in technology, and we hire under equal opportunity, irrespective of gender, ethnicity, religion, sexual orientation or background. We are proud to say that more than 30% of Nubank is part of the LGBTQ+ community, and 40% of our team identify as women, composing our team in all positions and seniority levels. We are a very process-light organization that values human interactions, and that is a very important part of culture. At Nubank, everyone has the opportunity to speak up and participate, grow and share ideas. 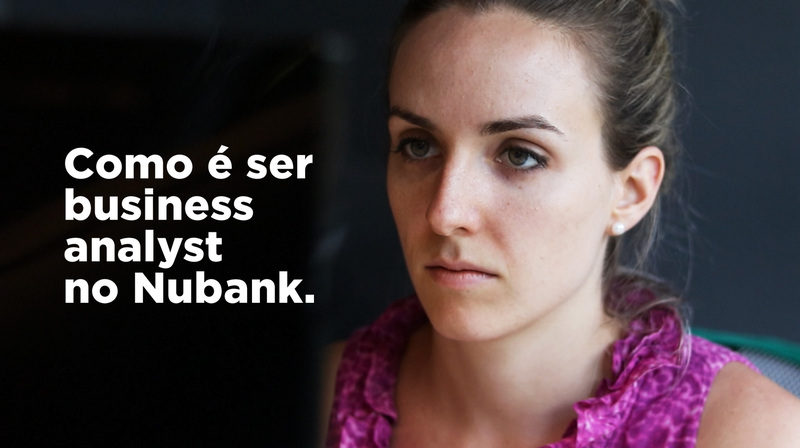 Why are business analysts important for Nubank? As the company at the forefront of the financial revolution in Brazil, Nubank has seen exponential growth since its inception. In order to maintain its healthy growth path, numerous critical decisions must constantly be made. Business Analysts are fundamental in this decision-making process as they must not only be able to deal with large amounts of information, but they must also strive to always think of ways to improve our customers' experience. It is the responsibility of the Business Analyst to structure this data, analyze it, and use the output to test different solutions in order to further increase Nubank's efficiency. We are looking for people who are independent and unafraid to take initiative to identify and solve problems that are not necessarily evident. Business Analysts are entrusted to handle large volumes of data, oftentimes incomplete, to make sound decisions. We have positions for full-time analysts and interns. Finally, we wish you a good preparation and your best performance at play and for the process as a whole we wish the highest level of fairness we can achieve.